Where is 2014 is the latest Point’n’click, Puzzle game in the Where is series created by Mateusz Skutnik. Find what you need to wake him up in time for the new year. 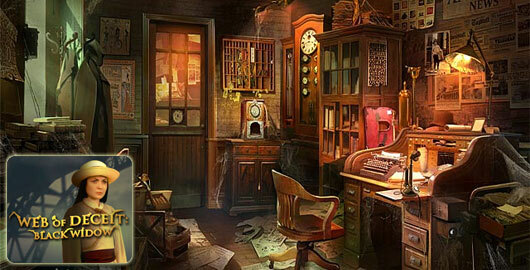 Where is 2013 is a Point’n’click, Puzzle game created by Mateusz Skutnik. Not long after the Mayan Apocalypse of 2012 we had another crisis on our hands. The fallout from atomic bombs triggered by magnetic field shifting caused the malfunction of electricity everywhere. It is up to us to restore the energy, without it all communications are dead, and so are we. Are you up for the task survivor? Search every nook and cranny for what you need to fire up the power and save the world. Help Santa find 2012 in Where is 2012? 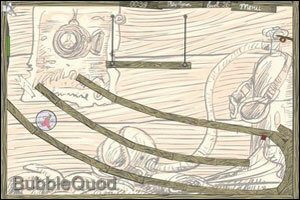 the latest platform puzzler from Mateusz Skutnik. Where is 2011? 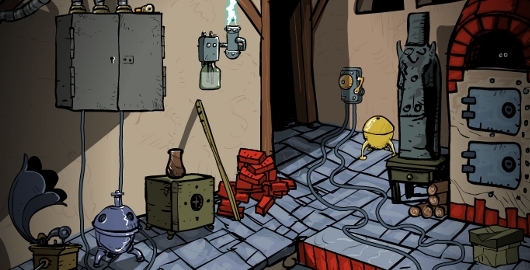 is a mini Point’n’Click game from Mateusz Skutnik. “It’s becoming a yearly tradition that I’m expressing my gratitude through a year-ending mini-game, each year a different one, from different genre and art style.” This one is rather short, and will for sure remind you of Mateusz’s black and white 10 Gnomes series! Have fun! Where is 2010? is a mini-adventure platformer from Mateusz Skutnik that all his fans will love. He started drawing a New Year’s card a few fays ago, “things kind of got out of control and voila – a minigame called Where is 2010?” I wish I would have half of his talent :-) Have fun! In Where is my Passport, spring is coming very soon, and Lucy planed to have a vacation in Bali with her friends. Unfortunately, she can’t find her passport and airplane ticket. The plane is living soon. Help her find her passport so that she can enjoy her vacation! Have fun! 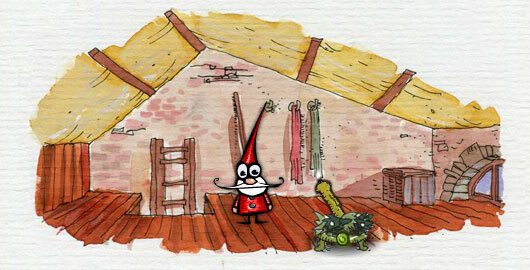 Mateusz Skutnik has just released another little seasonal Point’n’Click game, Where is 2009? The game “doesn’t really involve Christmas – as not all of us celebrate it. Help Santa find New Year, because that kid got lost again”. Sweet, but very short. Have fun! Spring is just around the corner and you have prepared to get out from your mountain cabin to reach the city. But, wait, where is your dog? Well, better look around the room and find him as soon as possible. Enjoy another cool escape from Ichima. Bart Bonte is back with a new game in his Where is Cat series. 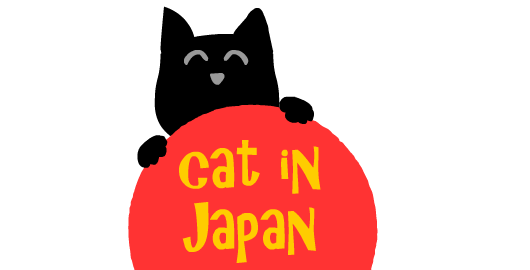 This time his cat is in Japan! Help the cat to find all the sushi. You’re drawn into a web of deceit when your train stops in Andville, where the Black Widow lies in wait. Follow a trail of clues and dead husbands as you explore this once picturesque town now at the mercy of the Black Widow and her mechanical minions. What drives her lust for revenge? Where is the root of her strange power? 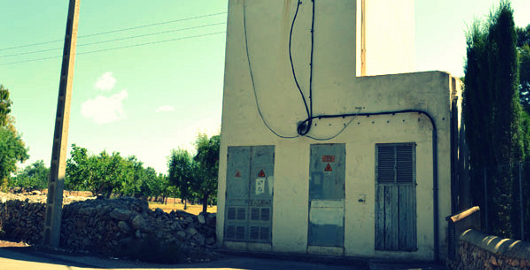 Uncover the bizarre history – and mystery – of this little town. And track down the Black Widow in time to foil her devious plot for revenge! Web of Deceit: Black Widow walkthrough! Purple Planet is a Point’n’click, Puzzle game from Coolbuddy by Irene Antushevich. We are not alone in the Universe, now it’s a fact! But why don’t I remember anything? Where is my rocket and dog? It’s time to get out of here and find out who is who on this planet! 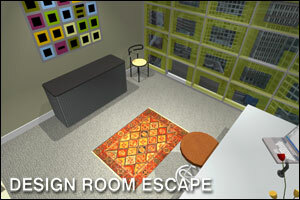 Design Room Escape is the third Room Escape game created by Fredo, the French developer behind Escape Factory (Lounge Room Escape, Van-Gogh Escape). For an unexplained reason, you find yourself once again trapped in an unknown room, and the exit door is locked. Look around closely, and you will soon find a few items that could be very helpful. Now the question is: where is the key to open this damn locked door? 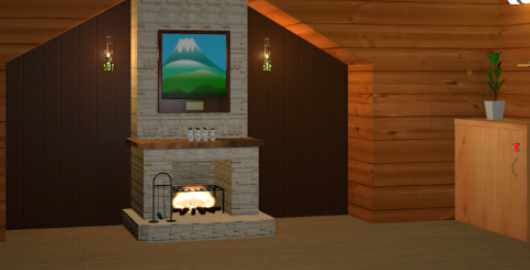 Design Room Escape video walkthrough! Office Escape Stage 2 – Winter Edition is the second episode of a new Room Escape trilogy sponsored by Calpis, a Japanese ready-to drink beverages company. You awake at 7:00am and it’s time to go back to work. Oh wait. Where is your laptop? And your keys? Hurry or you’ll be late! Have fun! Gym Escape is another Room Escape game from Gazzyboy. For an unknown reason, you are locked inside a weight room. Unlike in Sport Shop Escape, you are alone in this room, and the big question is: where is the exit door? Good luck! 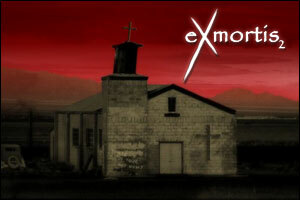 Launched in March 2006, Exmortis 2 was an instant hit. This sequel to Exmortis continues the story started in 2004 by the author, Ben Leffler. As mentioned at Lazylaces, the game starts as you arrive “at the Resistance Safe house, an old disbanded church sitting in a wide open plain in the American country. The sky is stained a crimson hue, a phenomenon that coupled the arrival of the Exmortis on the Earth. Someone has spray painted “Where is your God now?” across the face of the church. You remember the backlash against religion and how it was nothing but false hope and old stories to keep humanity and values in retrospect. You remember how the catalyst was the Vatican falling victim to the marauding demons when they swept through Europe those months ago. If you didn’t play Exmortis 2 already, do it now! WARNING: this game is for adults only! The 48th Room Escape game from 123Bee, 20′ Lockers Escape, is live! No more girl in this one, but many, many lockers! “You are locked up in a lockers room. Hum, I can see the lockers, but where is the exit door?! 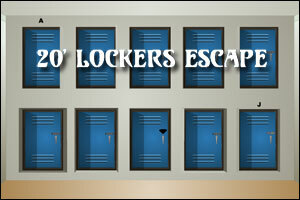 More Locker Rooms Escape games. We are living in a tough world with a lot of challenges every day. In BubbleQuod, a puzzle physics-based platform game developped by Garbuz Studio, you had to create a bubble and settle in it. However, your buble became a prison and your only desire is now to get back your freedom! To free yourself from the bubble, you will have to pop it onto a nail located somewhere is the game window. The game features 50 levels and is available in 10 languages! Can you regain your freedom and complete BubbleQuod?